The leopard skin adds an exotic touch to this photo of an unknown model who posed for 90% or more of Durieu's male nudes. (In about 75% of those, he is shown with a staff.) 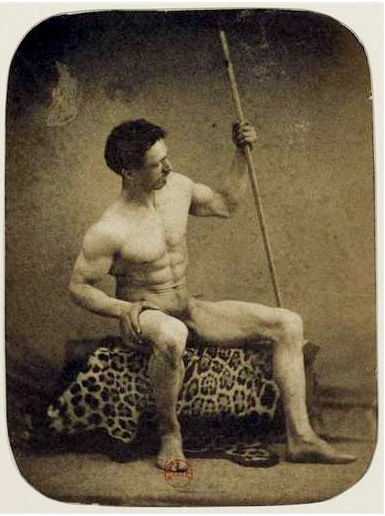 The man is in superb physical shape, and this was 1855, decades before bodybuilding hit the scene.